When Dan Reynolds first sang, “Your love is always dangerous, and now I’m lost in us,” in the new song “I Don’t Know Why” by Imagine Dragons, he probably didn’t realize how on the nose he would be when it came to the outlook of 2017 after music fans had to deal with recent tragedies that shook the rock world. Evolve, Imagine Dragons’ third studio album, was released on June 23, which was just over a month after Soundgarden’s superstar vocalist Chris Cornell took his own life, and nearly a month before Linkin Park’s front man Chester Bennington met the same fate. The Las Vegas–based band’s new album, which was released through KidinaKorner and Interscope, has received mixed reviews; but financially it’s been a smashing success. Peaking at number 2 on the Billboard 200, Evolve explores a new era for Imagine Dragons—one that’s a little quieter, more stripped down, and more rooted in EDM than their trademark booming sound with signature drums. The band’s newest additions to its discography will be performed live in a headlining set at the Xcel Energy Center on Monday, October 16. 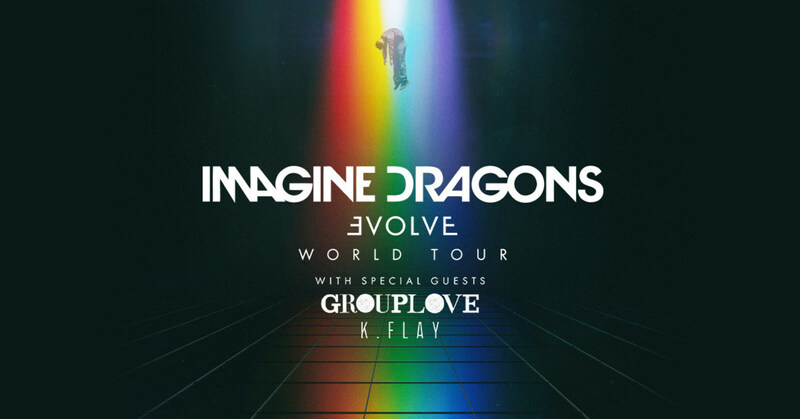 Reynolds, guitarist Wayne Sermon, drummer Daniel Platzman, and bassist Ben McKee will be joined in St. Paul that night by supporting acts Grouplove and K. Flay. Two days prior to Imagine Dragons’ headlining stop in St. Paul, British hard rockers Royal Blood will open for Queens of the Stone Age at the Roy Wilkins Auditorium next to the Xcel. The duo of Mike Kerr (vocalist and bass guitar) and Ben Thatcher (drums) pack a rich sound that’s a descendant of classic blues rock, but with a contemporary take that’s similar in scope to—but more layered than—the White Stripes. 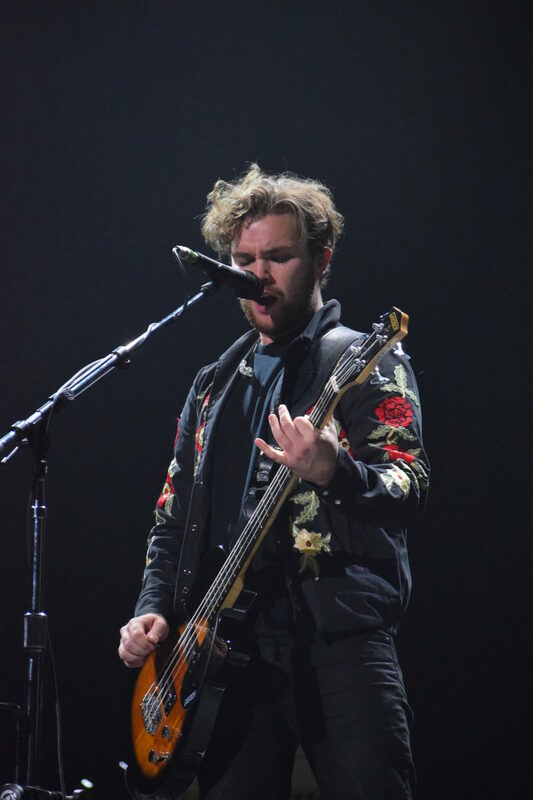 Fresh off the June 16 release of their second LP, How Did We Get So Dark?, Royal Blood has had a busy year beyond releasing their new album; including performing supporting sets for Guns N’ Roses throughout different parts of their iconic Not in This Lifetime tour. With a thick sound that’s polished and sharp like a chef’s knife, Kerr and Thatcher are formidable and worthy of headlining their own North America arena tour—especially now that they’ve got more song choices to plug into and diversify their set with. Winner of the Q Award for Best Live Act in 2015, and equipped with a critically acclaimed sophomore album that topped the UK charts this summer, Royal Blood is a force that local live music junkies shouldn’t miss. Royal Blood last visited St. Paul with the Foo Fighters, who celebrated their 20th anniversary with a tour stop at the Xcel Energy Center in August 2015. 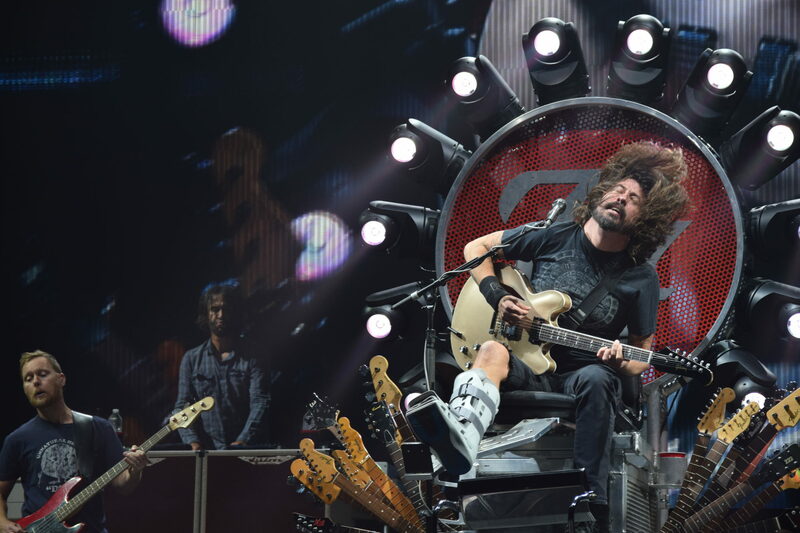 At the time, front man and former Nirvana drummer Dave Grohl was perched on his famous custom-built throne after falling off the stage in a show at the start of the band’s tour that year. Grohl and his crew of post-grunge rockers haven’t booked a local stop for the upcoming tour, but they’ve created quite a buzz with the announcement of their forthcoming album, Concrete and Gold, dropping on September 15. If the group’s new single “Run” is any indication, the new record will turn heads and likely earn the band some more Grammys—which should look great on the shelf next to those already won by Grohl, bassist Nate Mendel, lead guitarist Chris Shiflett (who released his own exceptional country album, West Coast Town, earlier this year), rhythm guitarist Pat Smear, drummer Taylor Hawkins, and newcomer Rami Jaffee, who plays the keyboards and initially joined the band as a touring member in 2015. For fans willing to make a trek out of town to support the Foo Fighters, they will be headlining across the country and the Midwest this fall; including stops in Madison, Des Moines, and Sioux Falls. With these new albums and other high-profile tours coming to town, when Dan Reynolds sings with Imagine Dragons in St. Paul this fall and asks “Can we start over?,” I’m inclined to say yes—yes we can.